Behind every great day is a great night at the Comfort Inn and Suites Airport hotel in Little Rock, AR. 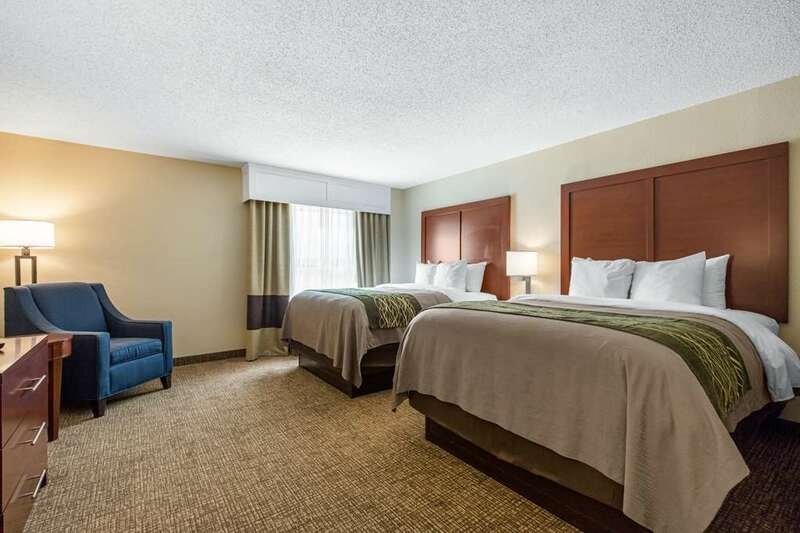 Our pet-friendly hotel is near sites and activities like the Barton Coliseum, Verizon Arena, Little Rock Zoo, Arkansas Arts Center and the Historic Arkansas Museum. Take advantage of our free hot breakfast, free WiFi, free airport transportation, free coffee, free weekday newspaper, exercise room, business center and hotel restaurant. Rooms include TVs, hair dryers, coffee makers and desks. Also, earn rewards including free nights and gift cards with our Choice Privileges Rewards program.